Garden Court is situated in a prime and convenient location. We are within a short walking distance from NAIT, Kingsway Mall, and the new LRT station! Just minutes north of Edmonton's downtown core and easy access to Yellowhead trail, this location provides an excellent commute to everything you need. 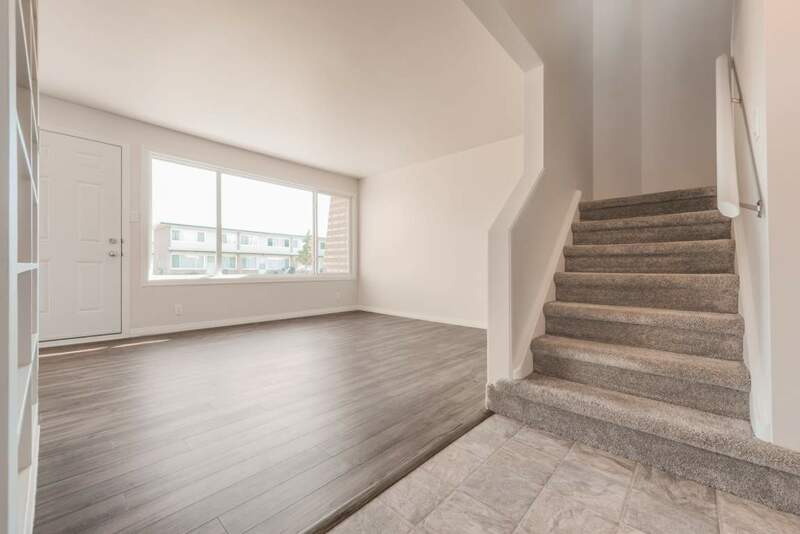 This family-friendly townhome is right next to Kingsway shopping mall, the Royal Alexandra Hospital, and major transit routes. Need garage parking? We have garage stalls available for $90/month. We also have exterior energized stalls available for an additional $60/month. Garden Court offers beautiful hardwood floors, fully landscaped grounds, and spacious basements for extra storage. Your new home awaits at Garden Court, call and book a viewing today! We are cat friendly. Sorry, no dogs. Military, Police Officers, and RCMP Officers - $50.00 per month rental discount with a term lease. These suites will not last long due to the location and convenience! Your new home awaits! Quiet Living with a Ravine Setting! Family Townhouses Close to Southgate Mall!